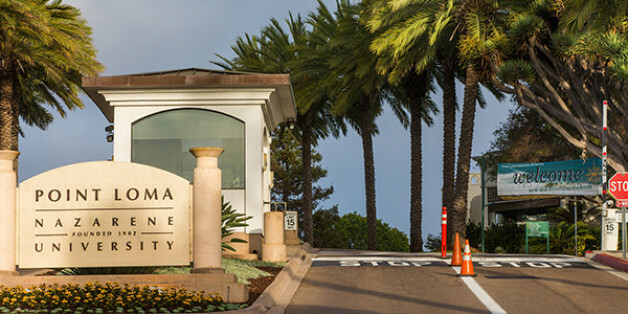 (RNS) Point Loma Nazarene University wants to offer human trafficking survivors who want to earn a college degree a full-ride scholarship. PLNU, a private Christian university located in San Diego, officially launched an Indiegogo crowd-funding campaign this week with a goal to raise $40,000 in 40 days. The money will fund the Beauty for Ashes Scholarship Fund, a reference to the Bible verse Isaiah 61:3. San Diego is the 13th highest child prostitution area in the country, according to the FBI and PLNU’s Center for Justice & Reconciliation resource website, Abolish Human Trafficking. The site also says 1.2 million children are trafficked every year, and it’s the second-largest source of illegal income in the world. While being accepted into the university and receiving the scholarship is one thing, being successful throughout the four years it takes to earn a degree is another. So PLNU is developing a plan to ensure the survivors, who will remain anonymous among the student population, get the support they’ll need to succeed. “We’re in the process of developing that plan, and it starts with the fact that anybody that applies for the scholarship will need to be referred in by a direct service agency, so that they already have some connection to some agency in town that has been working with them and knows their story and knows what level of support they need,” Jones said. The $40,000 would cover one year’s cost of attendance for one person, but the university hopes to be able to help more. “In most circumstances, somebody coming in, in this situation, is also going to be eligible for other sources of grants and aid, so we’re hoping the scholarship will be a supplement to get to the full amount they need to be here,” Jones said. A couple survivors are currently going through the application process at PLNU for the fall 2015 semester, which is when the scholarship will first be awarded. The university looks at the scholarship as a long-term deal and plans to have the scholarship be self-sustaining in the future, according to Jones. Mollie Ah Sing, a senior at PLNU who also interns at CJR, is excited about the scholarship but said this is a serious issue for the community to understand.